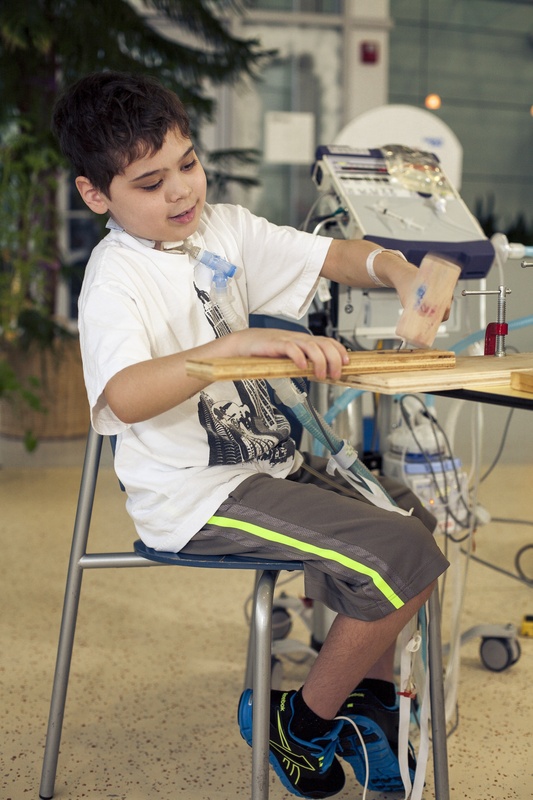 Some of our favorite people in the whole wide world are the patients and staff at Ranken Jordan Pediatric Bridge Hospital. Children at Ranken Jordan have been stabilized at a traditional hospital, but their medical conditions are too serious for them to go home. The staff at Ranken Jordan give these boys and girls the confidence and knowledge to get back to their own bed, their own school and friends by getting the young patients out of their rooms and engaged in life-centered activities. A group of children from Ranken Jordan are getting out of their rooms and out of the hospital to visit SPACE for their very own art show. Join us on Friday, April 10th from 6:00 to 8:00 PM to see their handiwork, meet some of the artists, and enjoy light refreshments. If you’re feeling generous, you can buy one of the masterpieces to support the extraordinary work the hospital does. Please stop by to meet the kids and see their masterpieces!